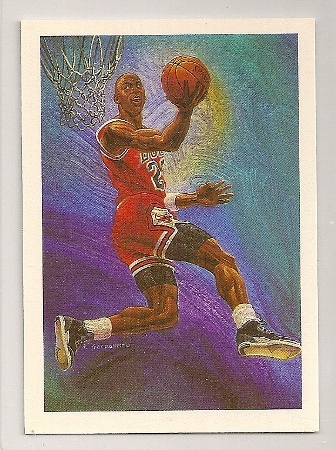 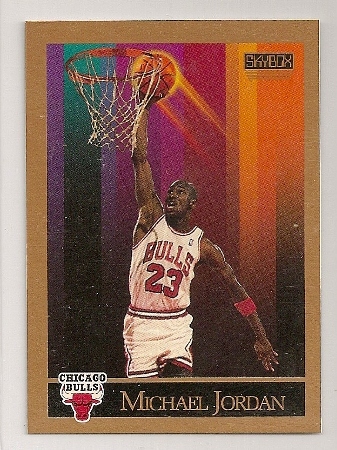 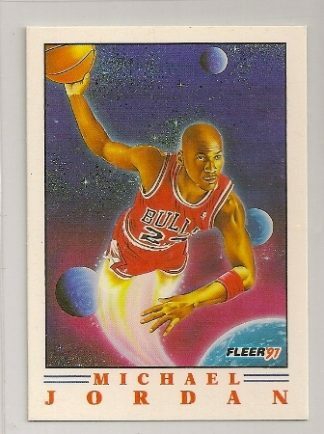 1990-91 Hoops Chicago Bulls Team Checklist Michael Jordan Card #358. 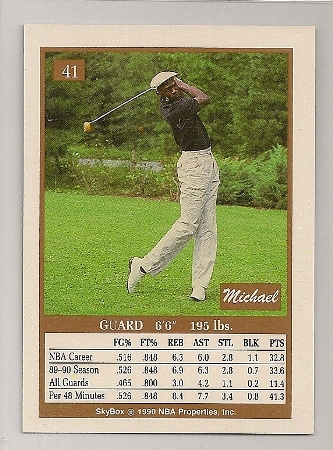 Michael Jordan 1990-91 Hoops Team Checklist Card #358. 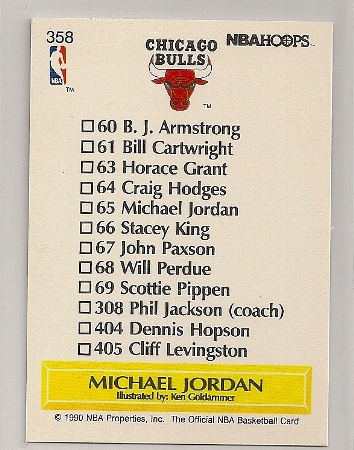 1990-91 Hoops Michael Jordan Chicago Bulls team checklist card. 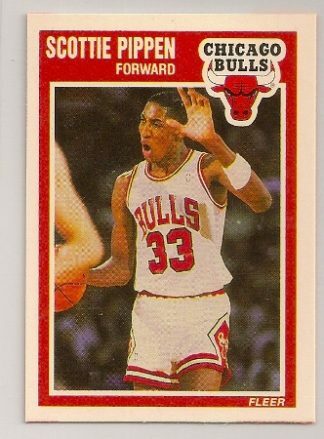 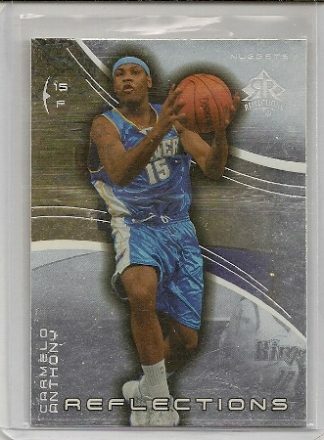 It is card number 358 of the set. 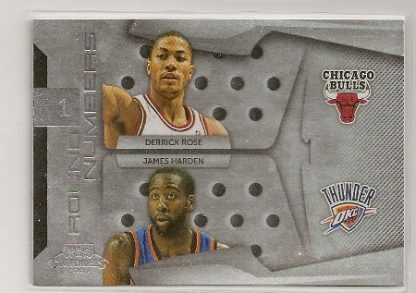 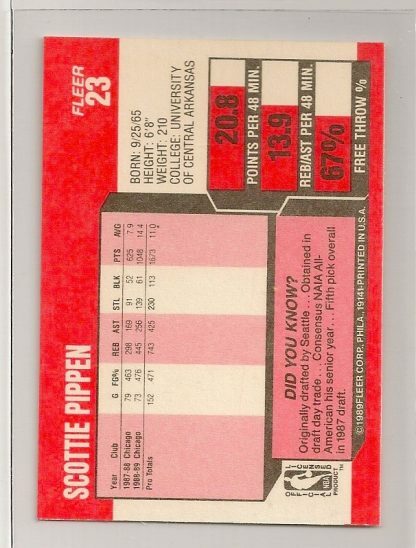 To view the complete 1990-91 Hoops basketball set checklist, click here.